How You Can Help: Donate to Ongoing Restoration Projects. YOUR DONATIONS HAVE FUNDED THE NO. 168 PROJECT. HELP US FUND MORE. 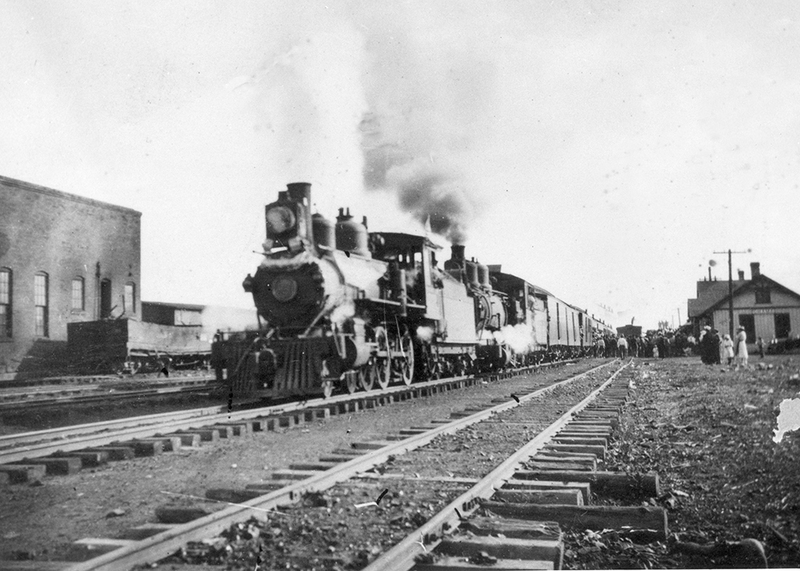 The Engine 168 and Historic Car Project is a unique undertaking, recreating an authentic Denver & Rio Grande (D&RG) passenger train as it appeared 100 years ago. Engine 168 and five 19th century passenger cars will make a complete train of original D&RG equipment, significantly interpreting Colorado and New Mexico history. Riding the train will turn back the clock 100 years. Visitors will experience travel as it was when General William Jackson Palmer’s Denver & Rio Grande carried dreamers in search of mineral riches to the San Juans, writing the history of the American West. No. 168 was built in 1883 as part of General Palmer’s vision to have the best narrow gauge passenger service in the Rocky Mountains. The T-12 Class locomotive was well-suited for mountain railroading, and the No. 168 traveled all over the Rocky Mountains and the west between Colorado and Utah. In 1909, it had the distinction of transporting President William H. Taft to the dedication of the Gunnison Tunnel. No. 168 made its last run in 1937. A year later, it was retired and donated to the City of Colorado Springs. Now, the City has allowed the Cumbres & Toltec Scenic Railroad to restore and operate the locomotive. Thanks to your help, we’ll soon see 168 back in steam. It will be used for special events and historic demonstration trains on the very tracks that it ran so often 130 years ago. Together, we will keep General William Jackson Palmer’s dream alive and running. 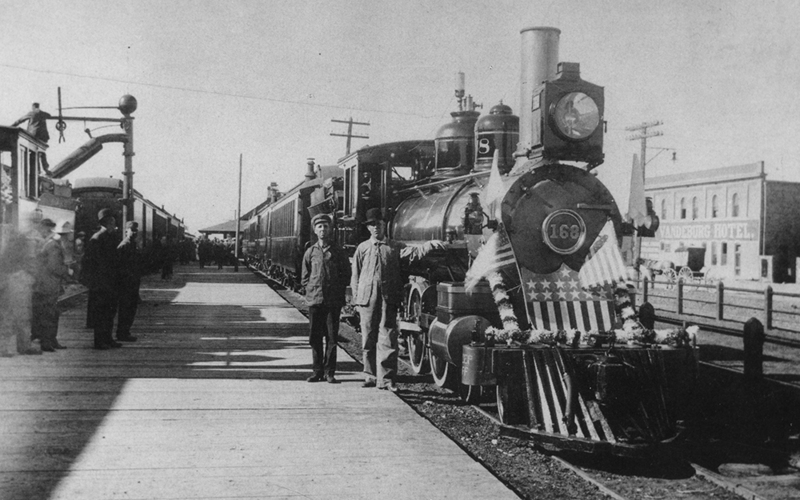 Click here to make a donation to Cumbres & Toltec historic restoration projects.. Donate and help us bring authentic railroad history to life. The 168 was built in 1883 by General William Jackson Palmer and was one of the largest and fastest narrow-gauge ten-wheelers of its day, pulling passenger trains from the the Front Range to the San Juan gold fields. Today, the 168 is one of only two of its class still in existence in the world. Work on the 168 will return this 1883 Baldwin to its appearance after a 1915 rebuilding. The boiler is sound and the required FRA Form 4 is ready to submit. 168’s tender, pistons, cylinders and pilot truck are complete. Repairs to the frame and running gear are underway. Thanks to a $10,000 “Trains Preservation Award” from Trains Magazine, we have completed fundraising for this $501.000 restoration. Hundreds of donors, including prominent philanthropic foundations, contributed to the project. 168 and its historic San Juan train will soon bring history back to life. Please note: There’s a 25% tax credit for donors who are Colorado residents. Your $168 will qualify for a $42 reduction in state taxes, making your total contribution cost just $126.